You are waiting at the end of the isle, you turn around for your first glance at your bride and what do you see? 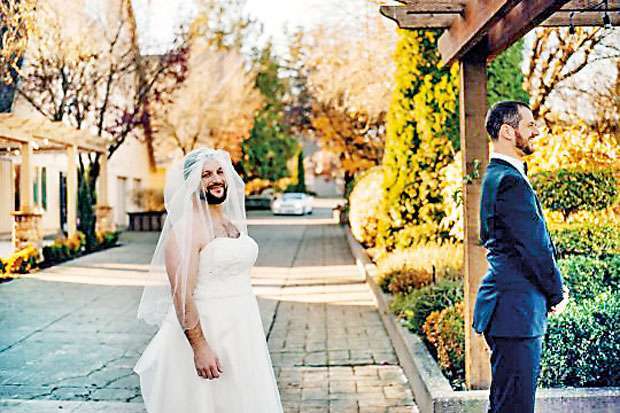 Your bearded best man and friend, dressed in a white gown, with a delicate lace veil. 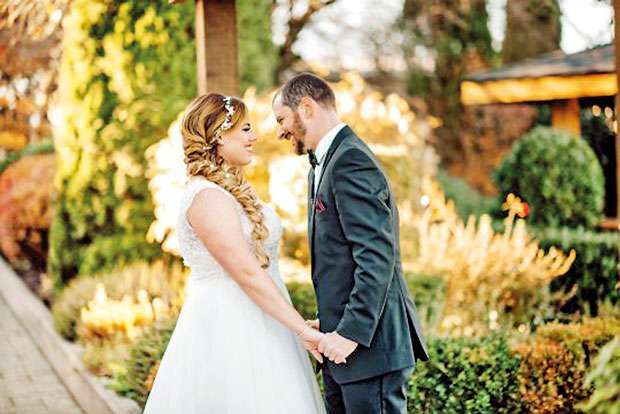 This was the case for American groom David Hofmann recently after his best friend Timmy Horton and fiancé Brianne Dennis​​ planned a prank together to shock the groom. The reaction from Hoffman was well worth it, he burst out laughing once he saw his friend, vanishing his nerves in the process. “Right in that moment, I was anxious. I was trying to calm my nerves because I was about to see my bride for the first time, Hofmann said. 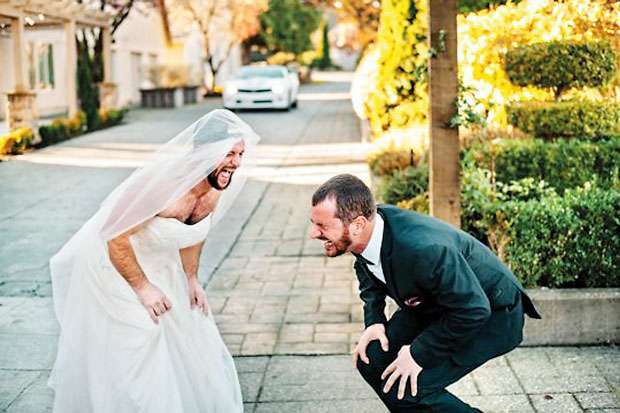 “I was expecting to see Brianne and I turned around to see Timmy in a wedding dress. He was pale and hairy and we love each other very much, but not in that way. I was falling down laughing”.